Just because you’re not planning to pre-order a new Samsung Galaxy S9 doesn’t mean you have to miss out on the cool wallpapers that come pre-installed on the device. And even if you’re buying the Galaxy S9, perhaps you want to pimp your older Galaxy phone until the new one arrives? Well, now you can download the official wallpapers by following this link. The package includes a total of 19 wallpapers that are available in high quality. Samsung unveiled the Galaxy S9 and Galaxy S9 Plus during a press event at MWC 2018 in Barcelona. Keeping the Galaxy S8 design language intact, the newcomers are more about refinements and small but important changes. But while the Galaxy S8 and Galaxy S8 Plus were identical save for size, the Galaxy S9 differentiates itself from the S9 Plus by carrying a single 12-megapixel sensor on the back. In contrast, the Galaxy S9 Plus pairs a 12-megapixel wide-angle lens with a 12-megapixel telephoto lens with dual f/1.5 and f/2.4 apertures. 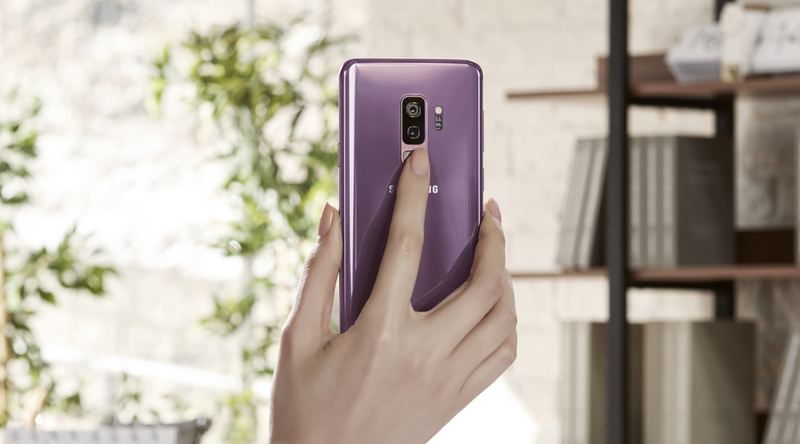 One of the main highlights of the Samsung Galaxy S9 duo this year is the improved camera technology. The phone comes equipped with variable aperture, so in bright light, the phone will use the f/2.4 aperture and let in less light, while in a darker scenario it will switch to the wider f/1.5 aperture and let in more light. The two flagships will also be able to shoot at 960 fps at 720p resolution and include a slow-motion auto feature. Basically, as long as you’re shooting video, a slow-motion version will also be recorded. This year Samsung is also focusing on audio. So the two flagships come equipped with dual bottom and front-facing speakers. Samsung says they are 1.4 times louder than the speakers on the previous flagships. While the Galaxy S9 duo seems promising, they are bound to be very expensive phones. Obviously not everyone will be able to afford them. But by downloading these free wallpapers you can easily give your phone the Galaxy S9 feel.